- Latest Jain Stavans, Jain Stuti and Stotra like Ratnakar Pachchishi, Navkar Mantra and Bhaktamar sutra. - Great Collection of all Jain Aarti, Gurubhakti Songs, diksha Geet. - Listen to regional Stavans in Gujarati, Rajastani, Hindi languages. 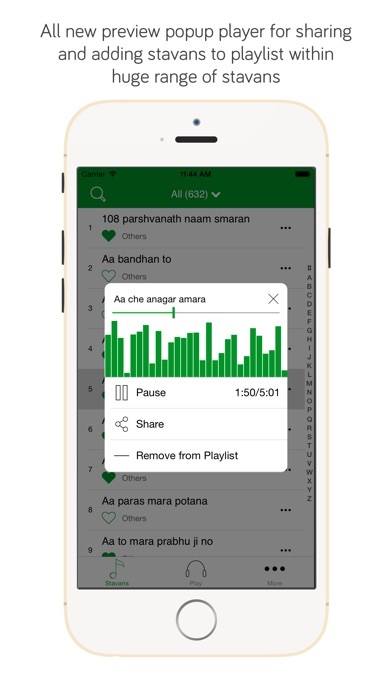 - Listen to the latest Jain Music where ever you go. 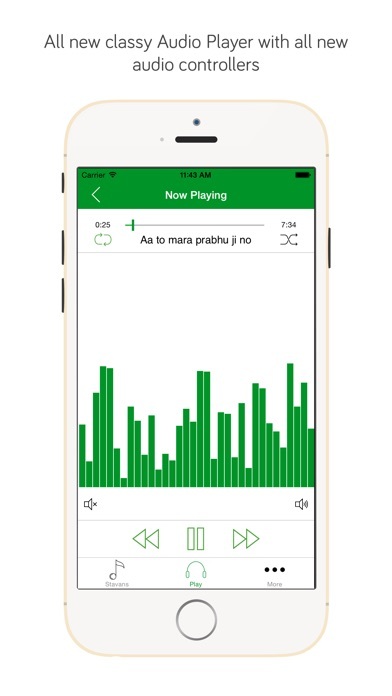 - Download Jain Stavans so you can listen your favorite music anytime anywhere. - Switch Application to Online/Offline Mode. 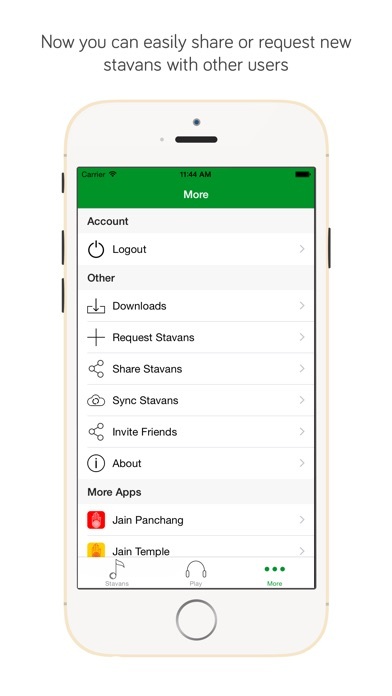 - Create Playlist of your favorite stavans. - Sync your Playlist with multiple device. - You can contribute and upload your favorite stavans to share with others.